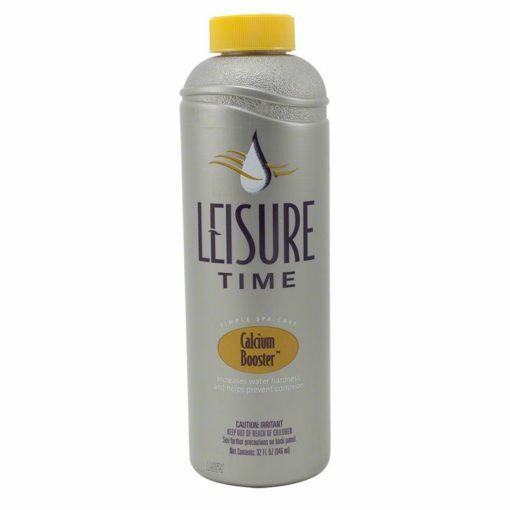 Leisure Time Calcium Booster raises the level of water hardness in your spa, which will prevent foaming and corrosion of your equipment. 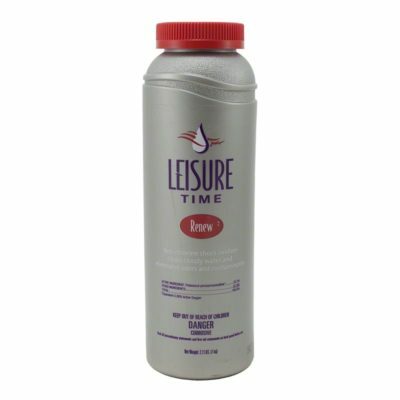 For optimal performance of your spa or hot tub it is recommended you maintain a hardness level of 150-400 ppm. 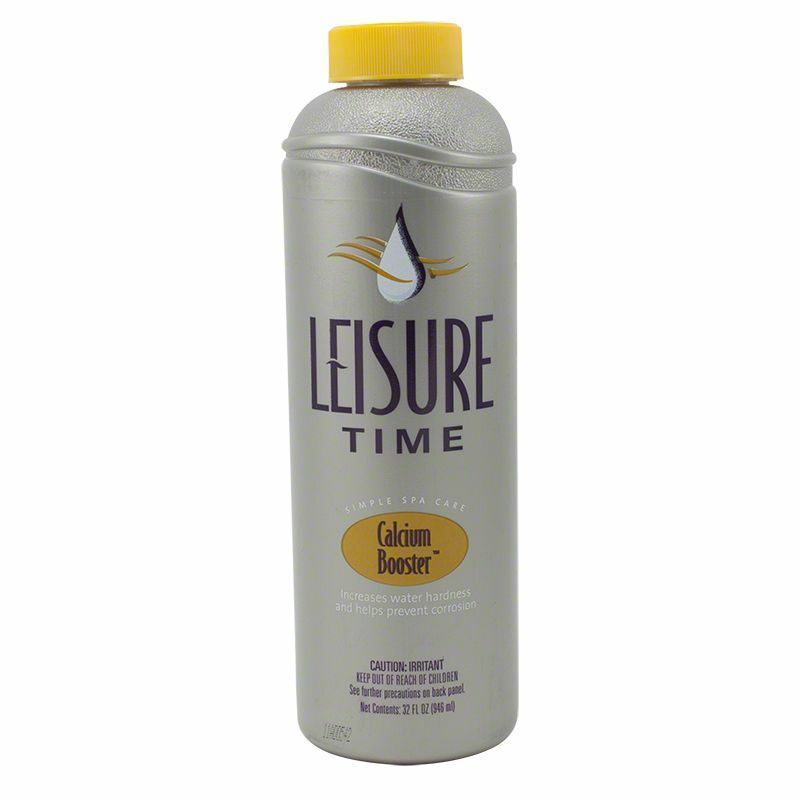 Calcium Booster is compatible with chlorine, bromine, ozone, and biguanide sanitizers. 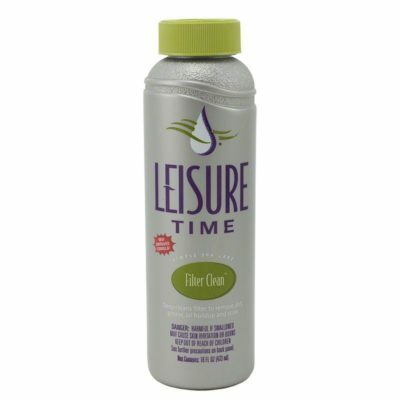 One ounce raises the calcium hardness 7 ppm per 500 gallons of water. One fluid ounce of Calcium Booster will raise the calcium hardness 7 ppm in 500 gallons of water. 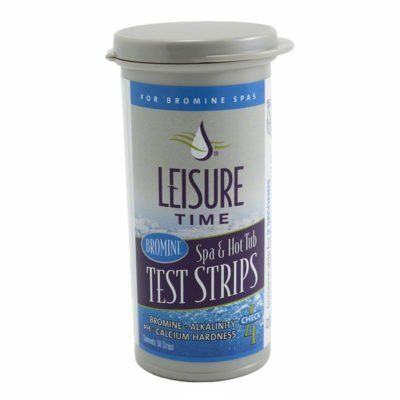 Test the water with Leisure Time Spa & Hot Tub Test Strips to determine the amount of calcium booster needed. Turn the jets on to circulate the water. Pour the required amount of Calcium Booster into the water. Run the filter for 1 to 2 hours. Retest the water to ensure the proper level of 150-400 ppm has been reached. Repeat steps 1-5 until the correct reading is obtained.